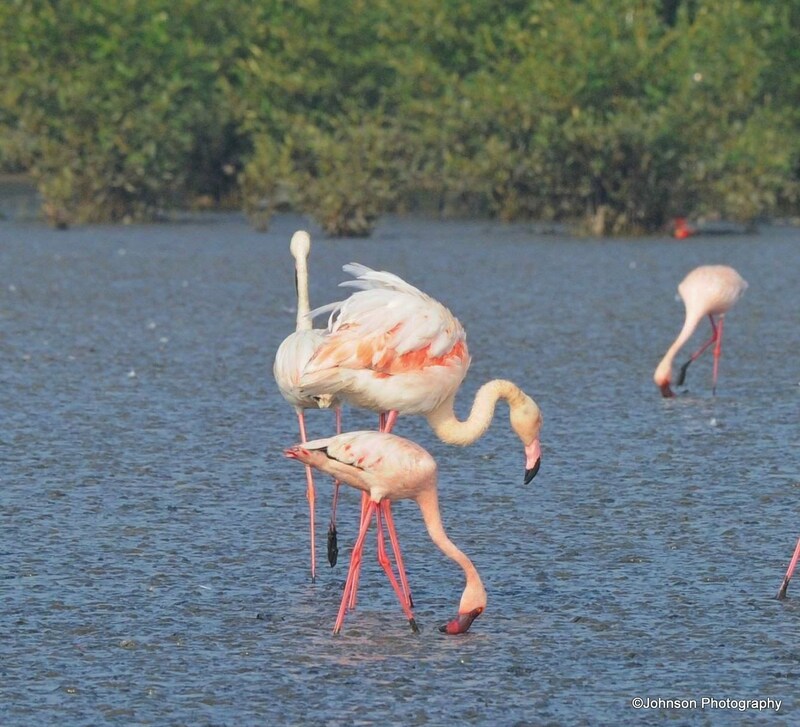 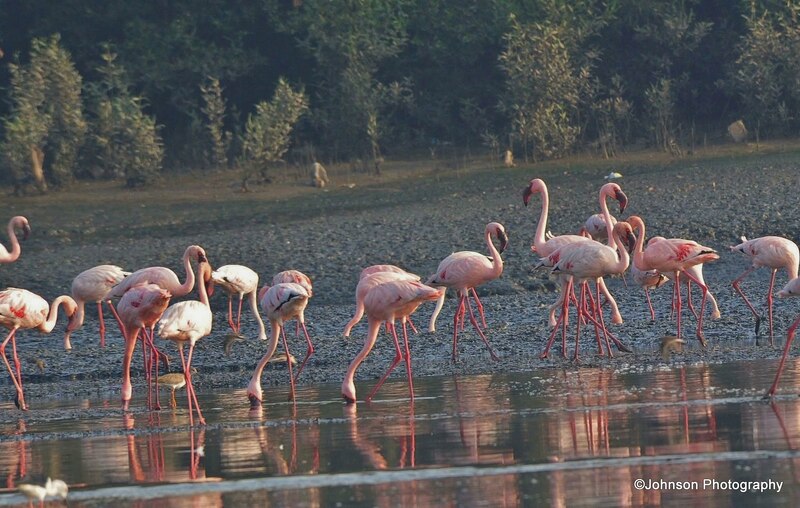 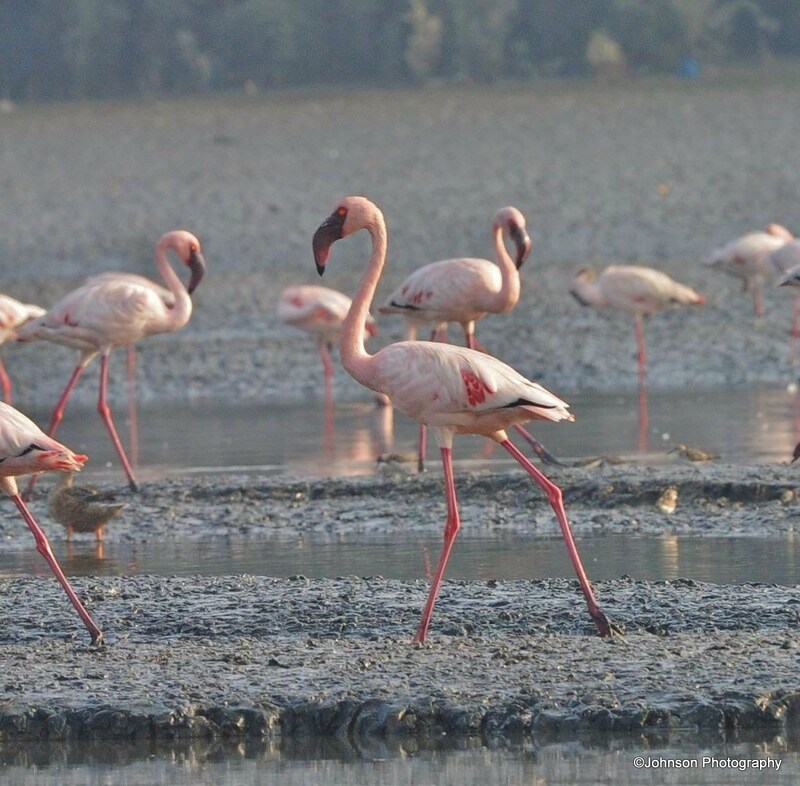 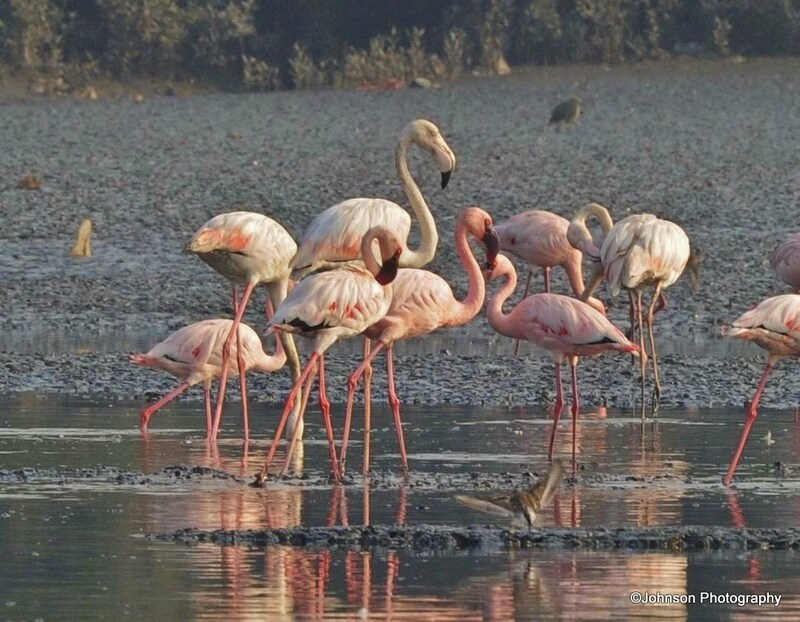 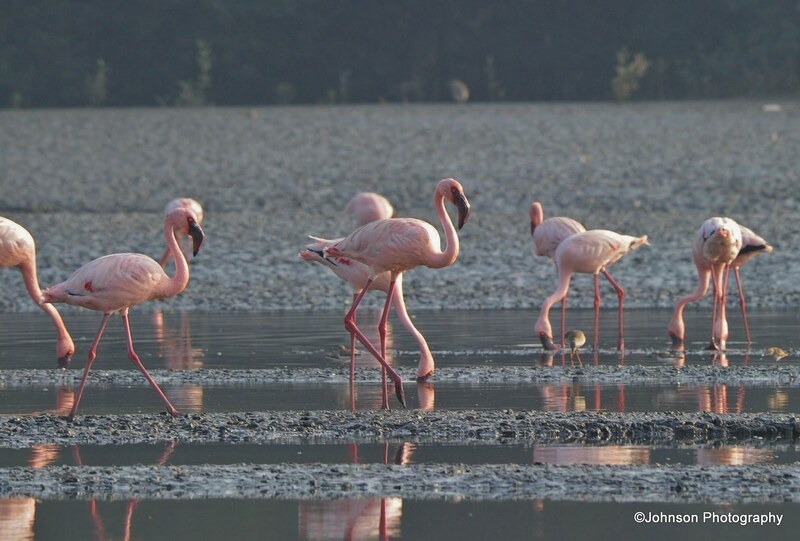 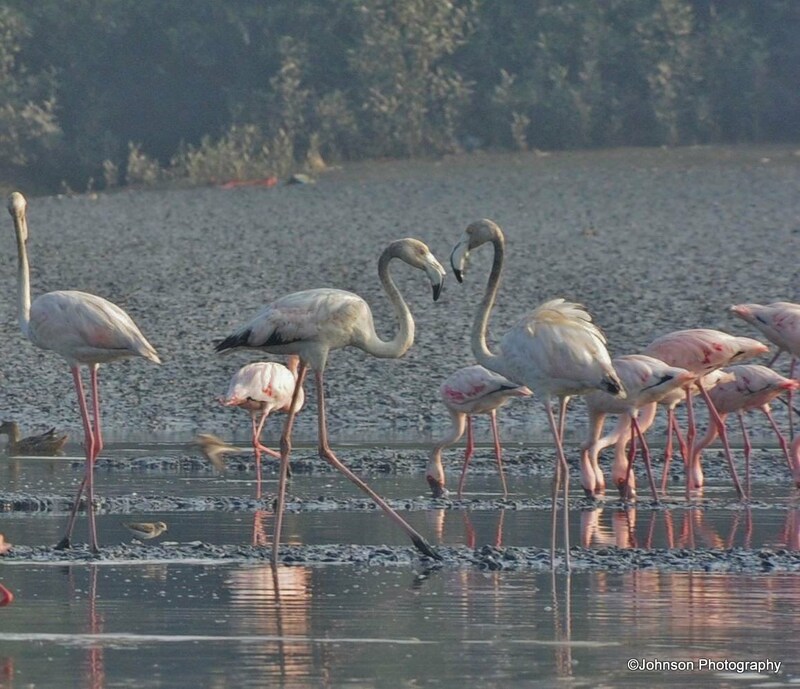 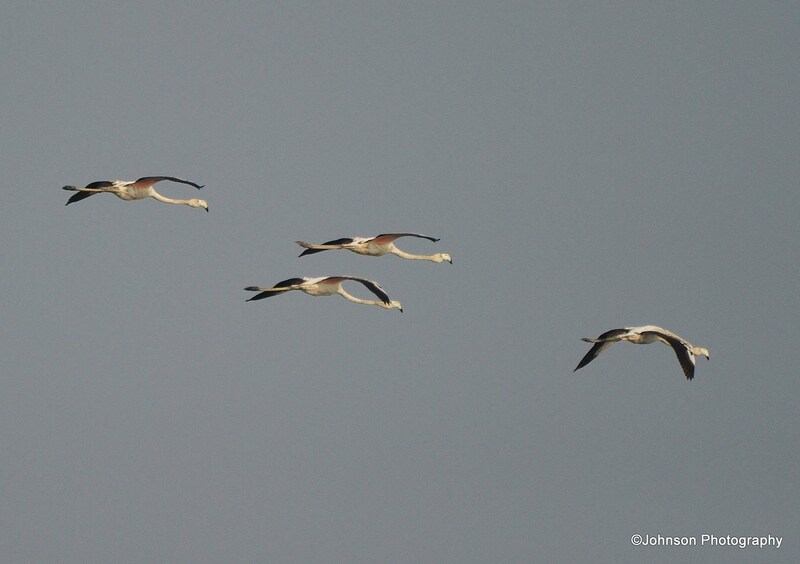 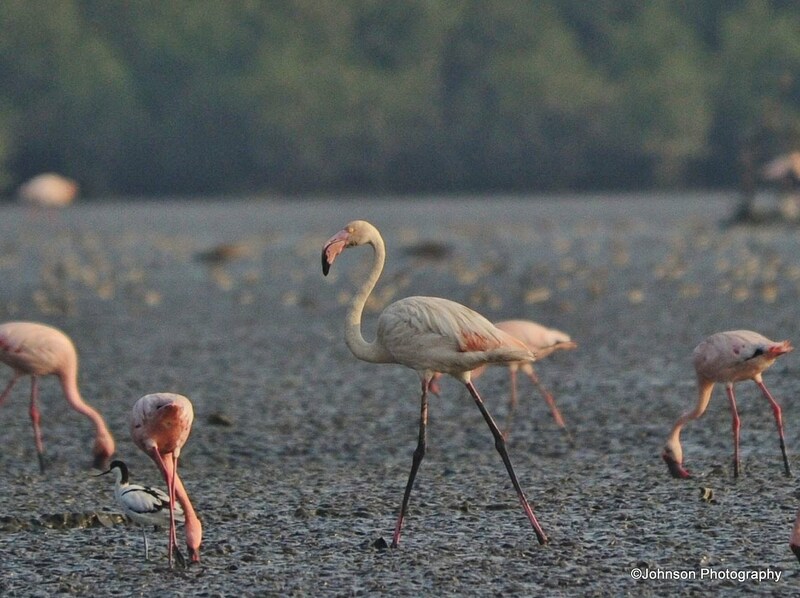 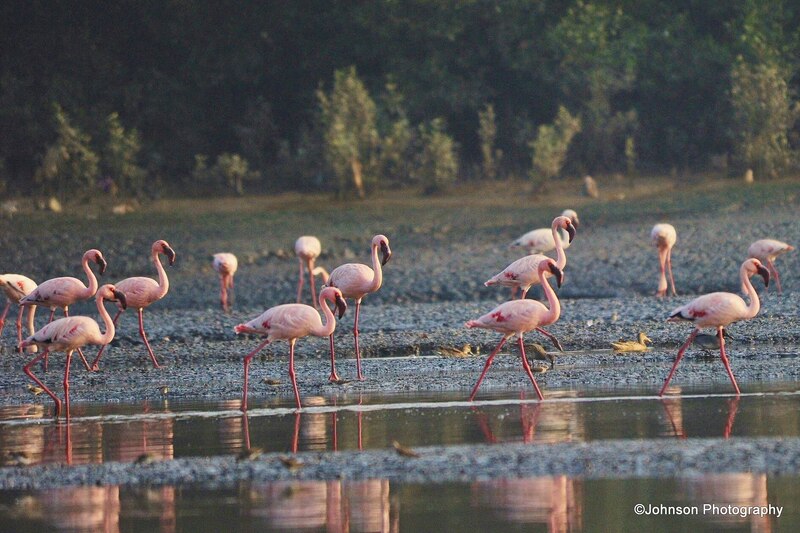 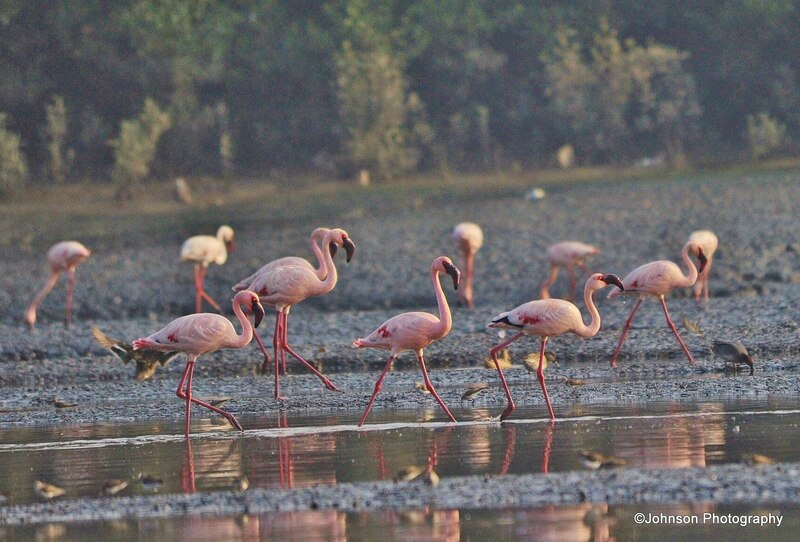 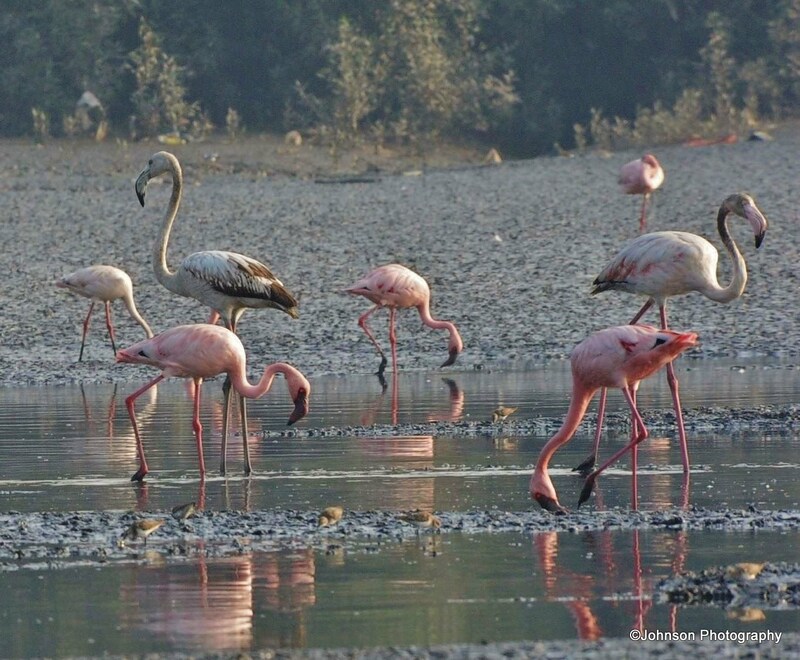 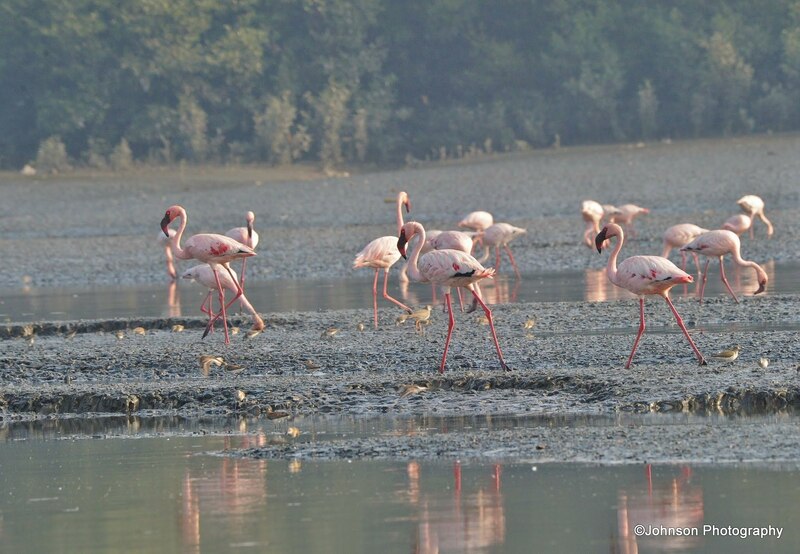 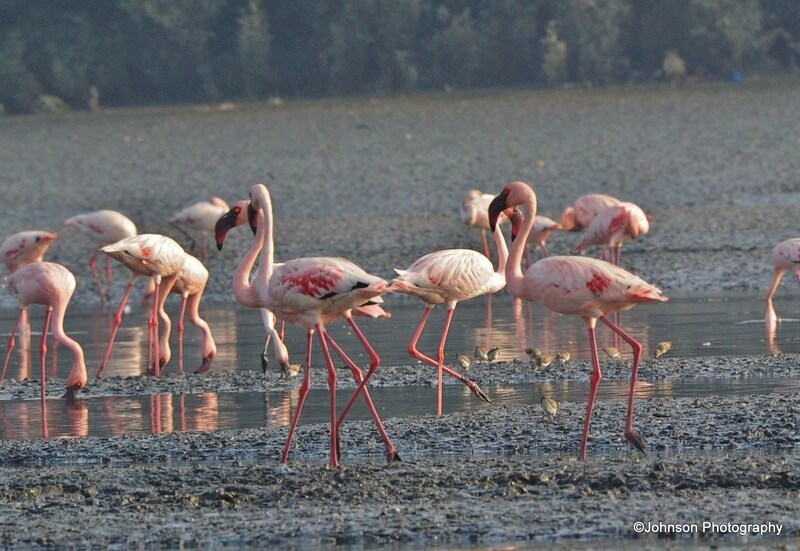 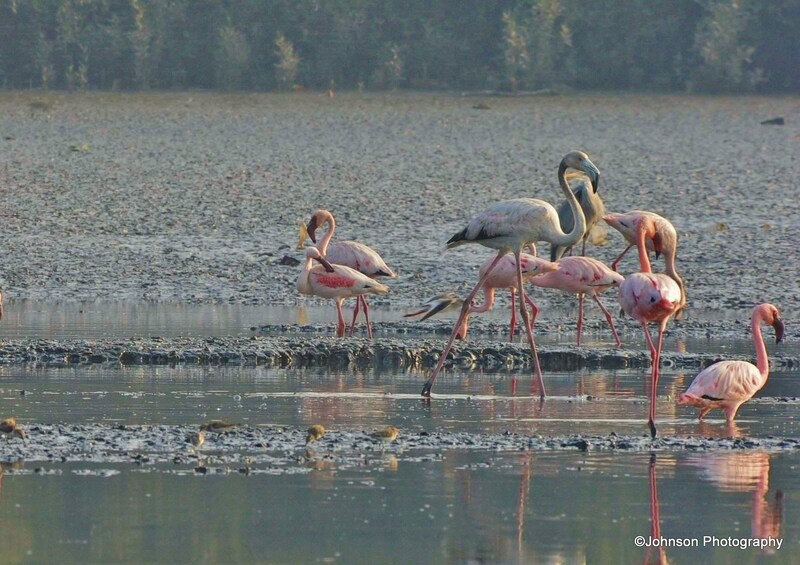 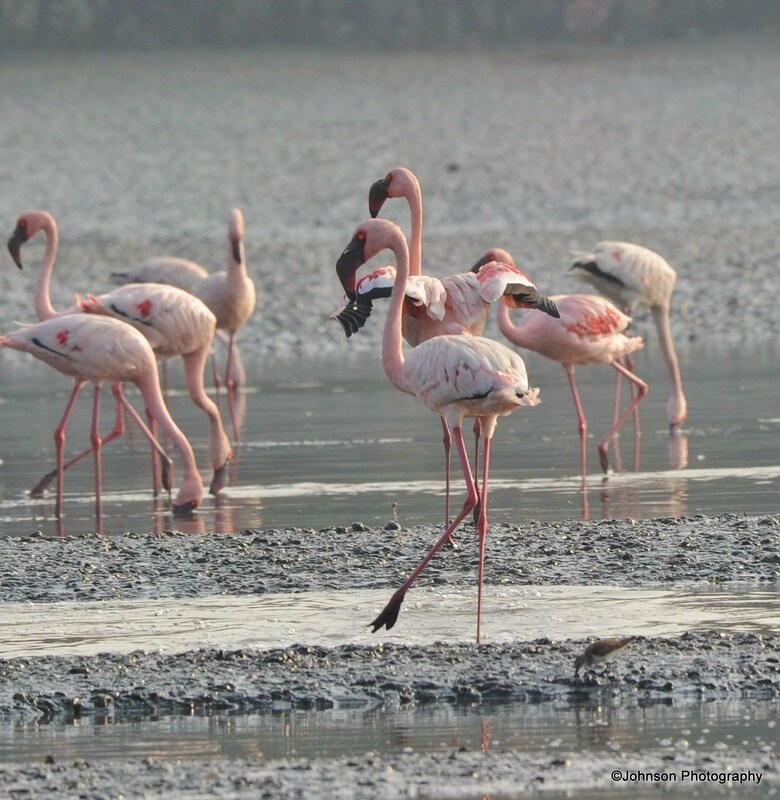 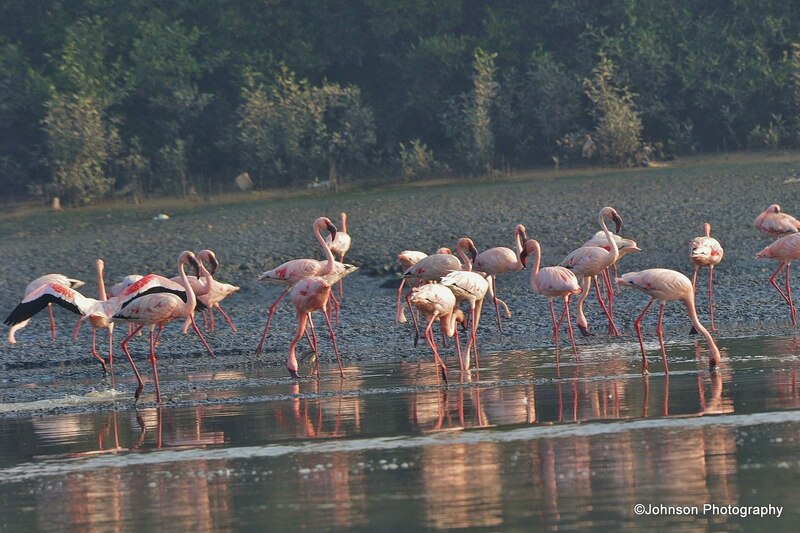 These wading wonders were clicked at the Thane Flamingo Sanctuary. 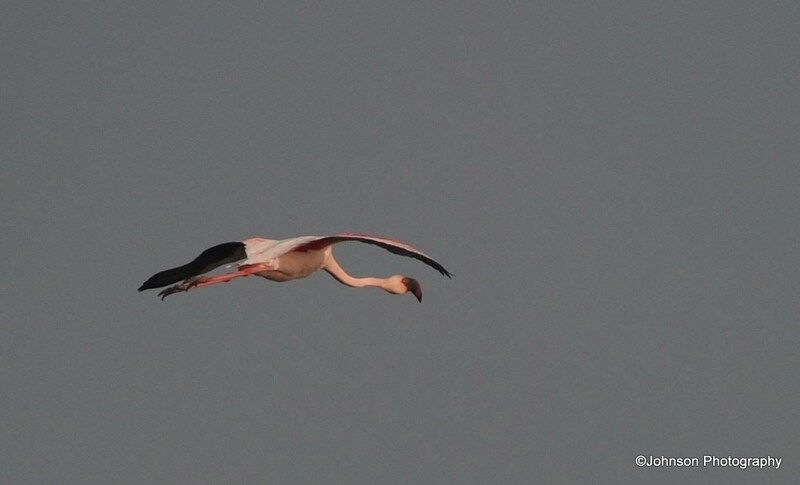 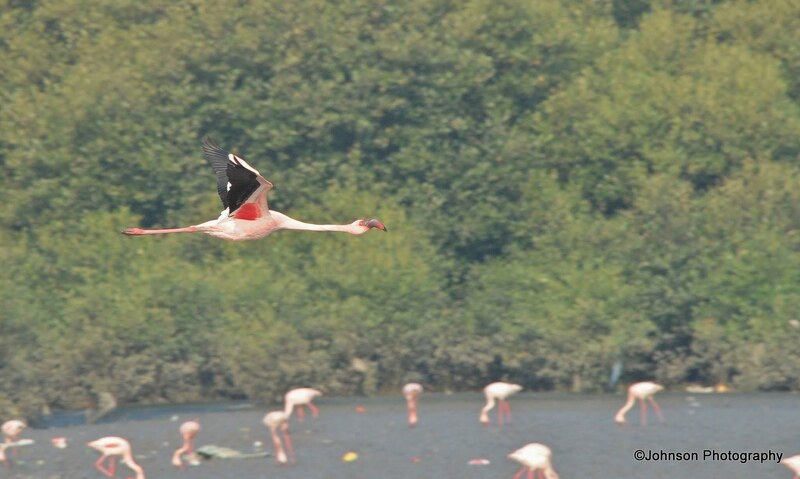 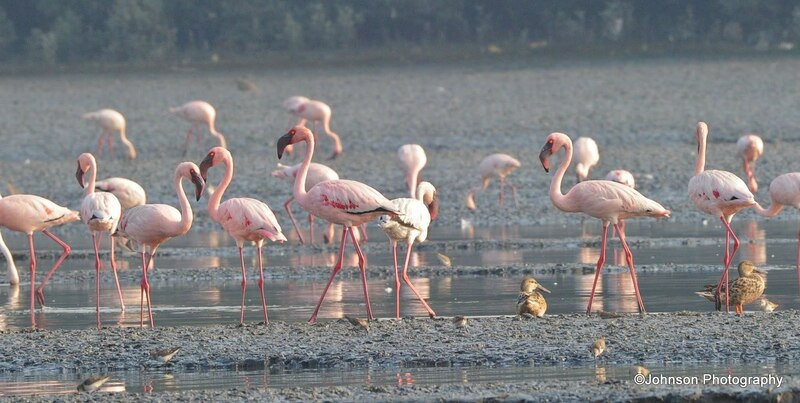 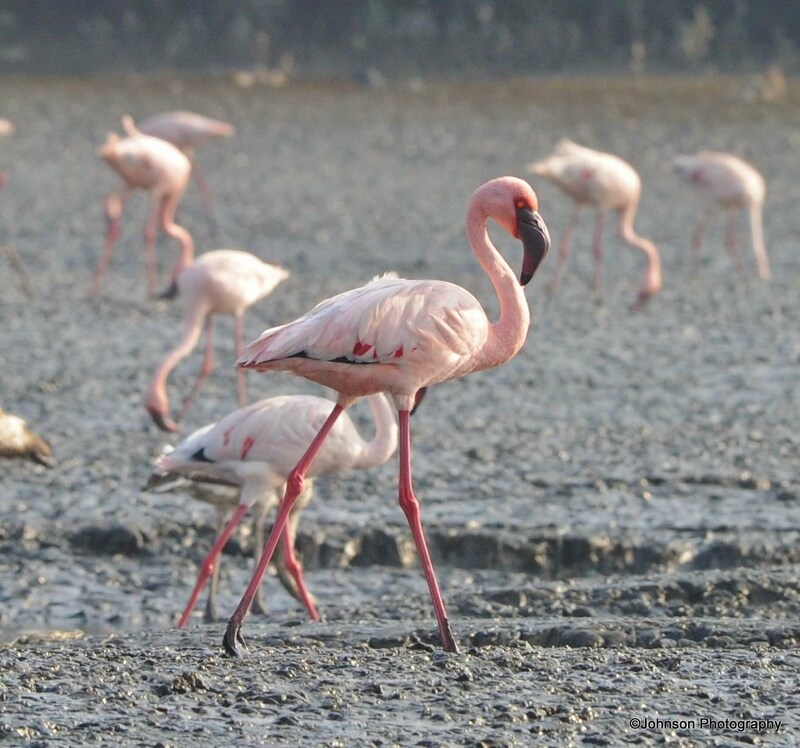 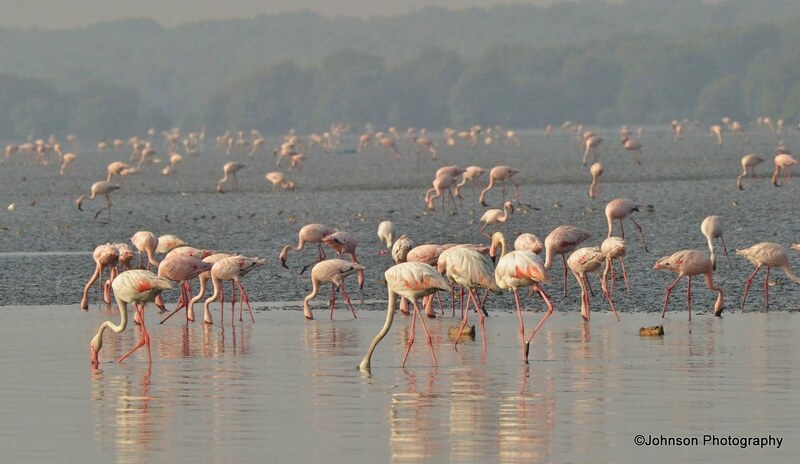 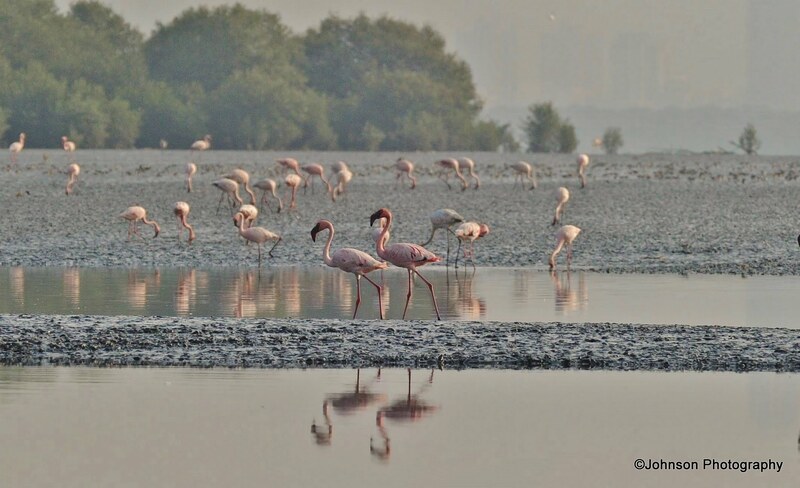 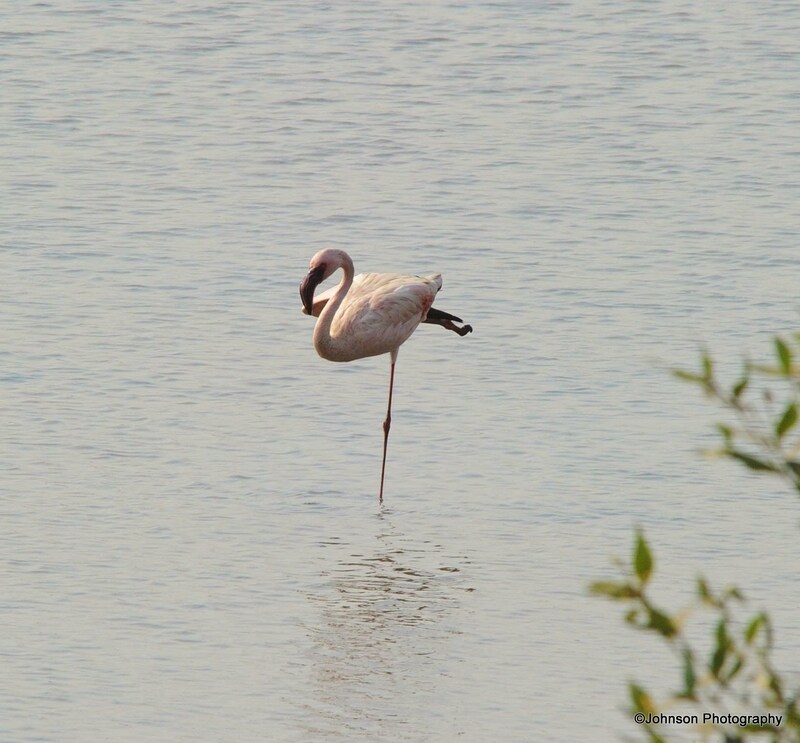 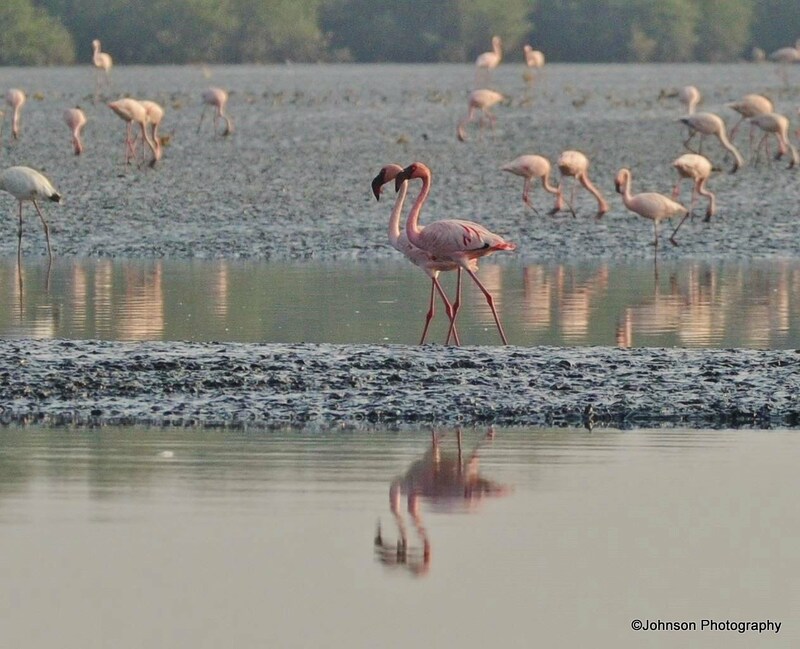 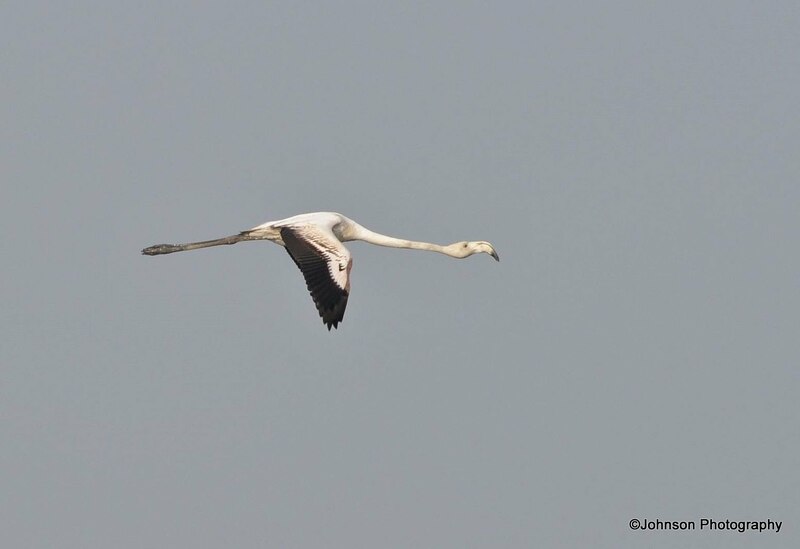 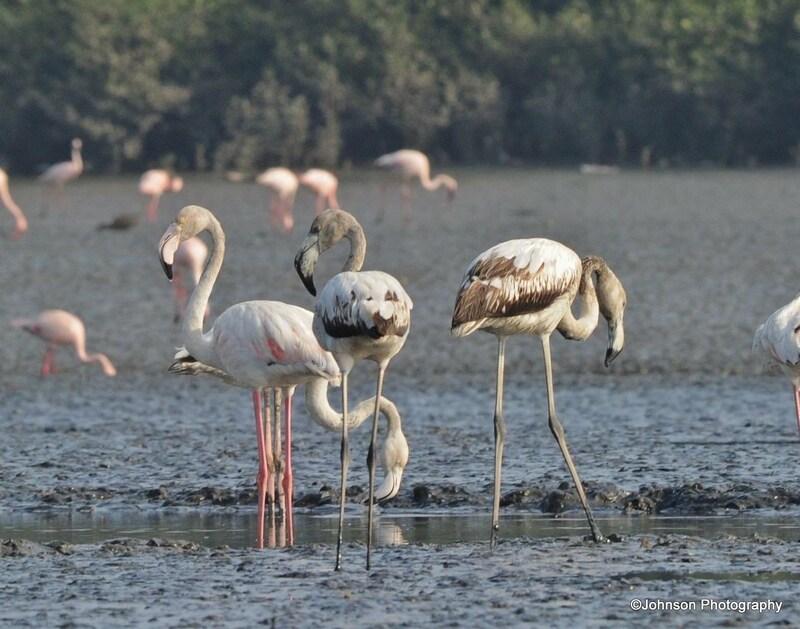 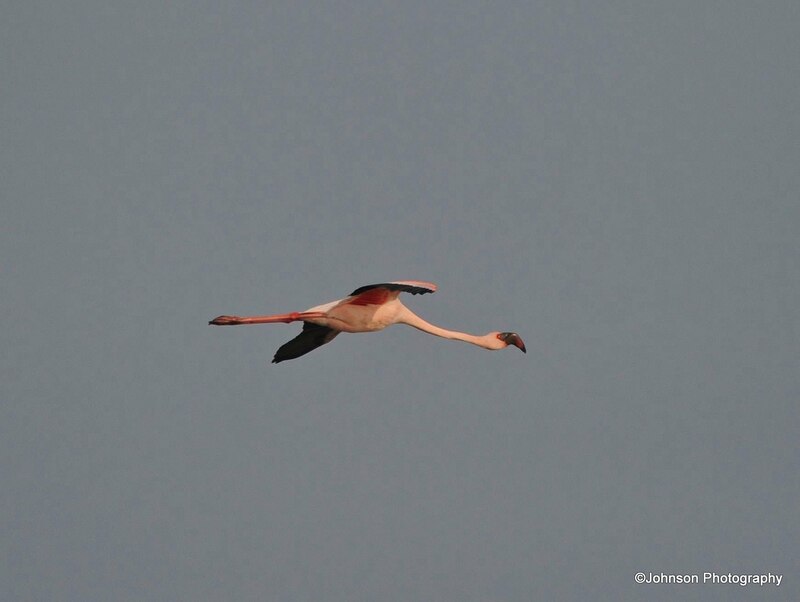 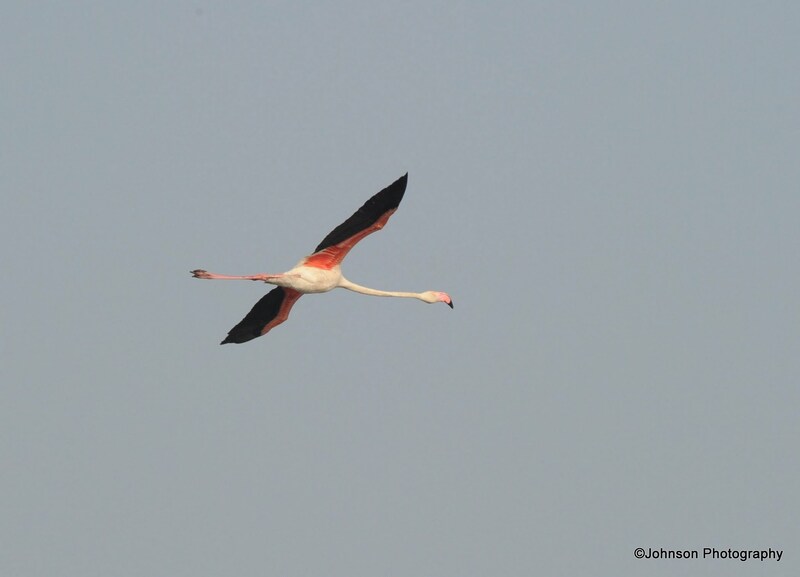 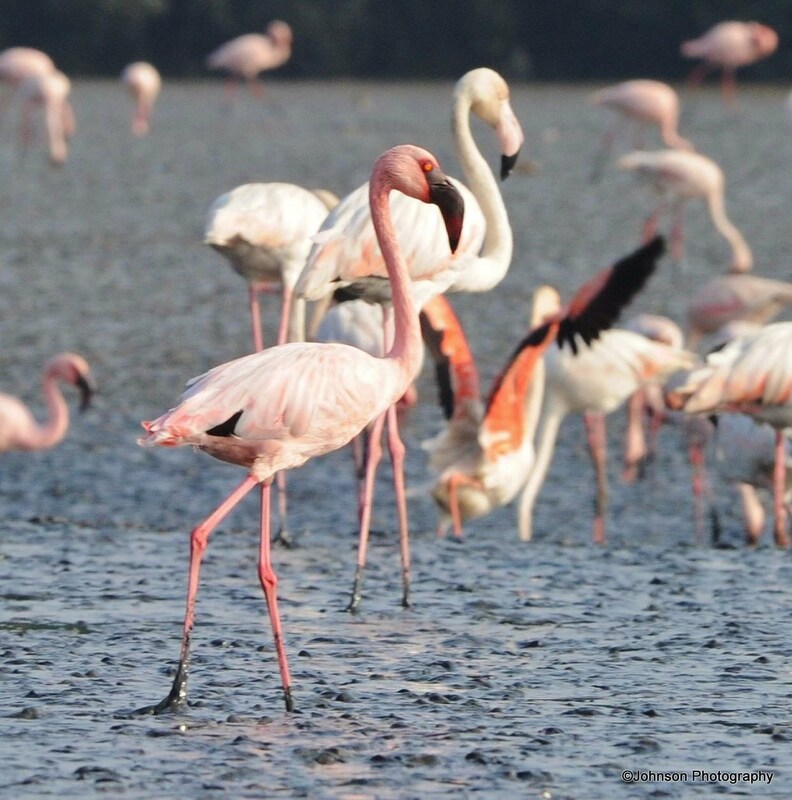 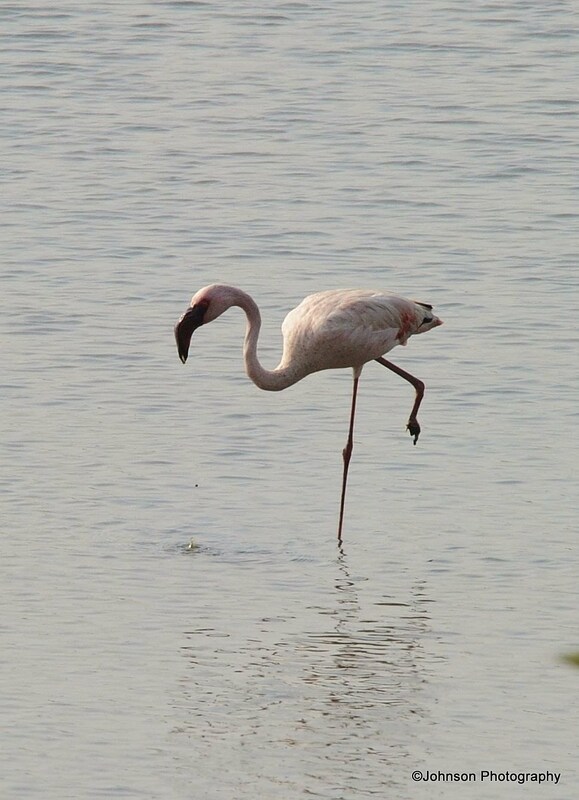 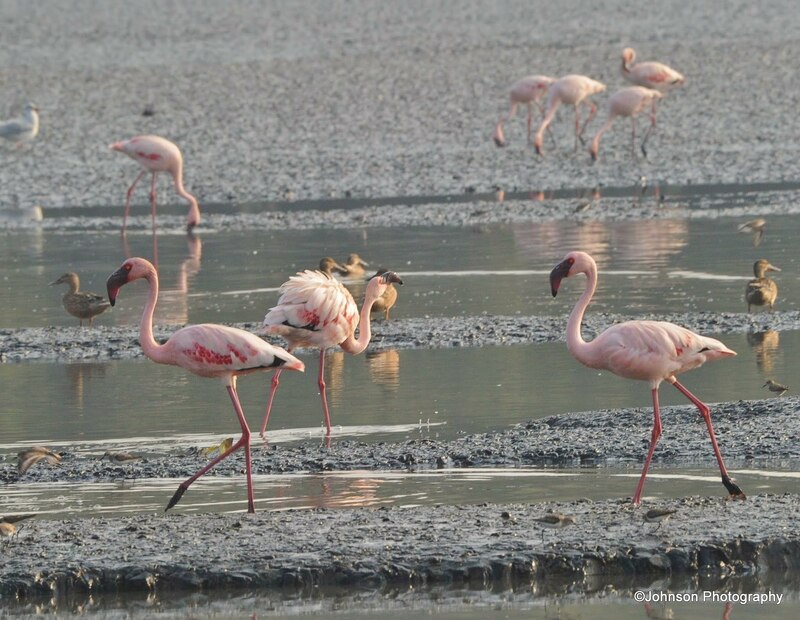 The Thane Creek Flamingo Sanctuary lies along the western banks of the Thane Creek, which is an inlet of the Arabian Sea. 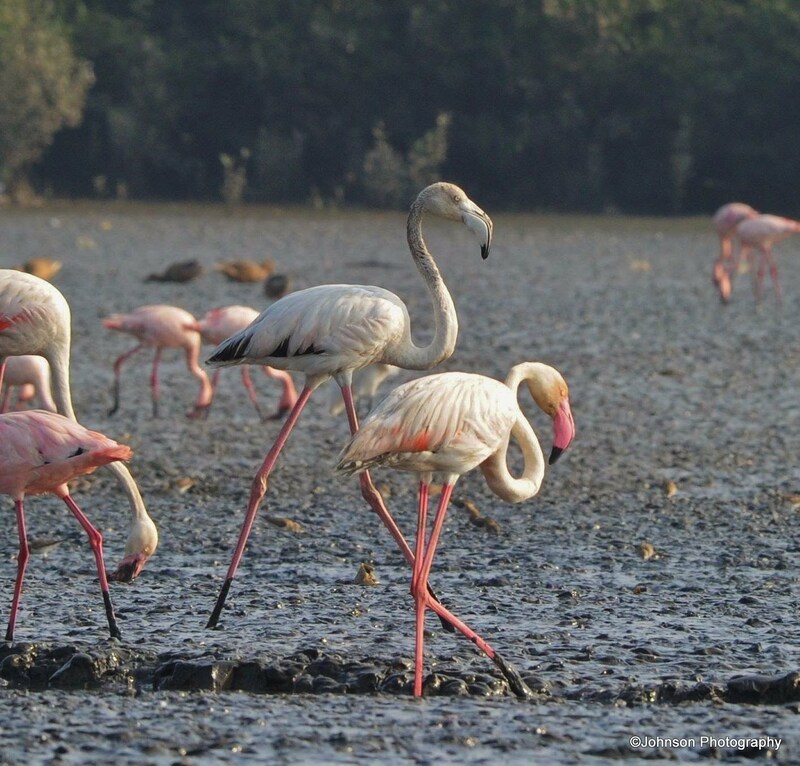 It was declared a sanctuary by the Maharashtra Government in 2015. 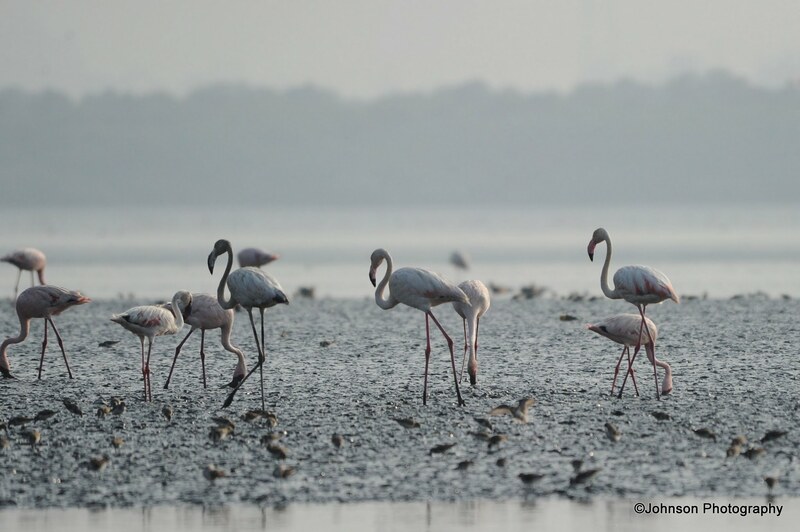 These mudflats attract flamingoes from the Rann of Kutch in Gujarat in large numbers between the months of November and May. 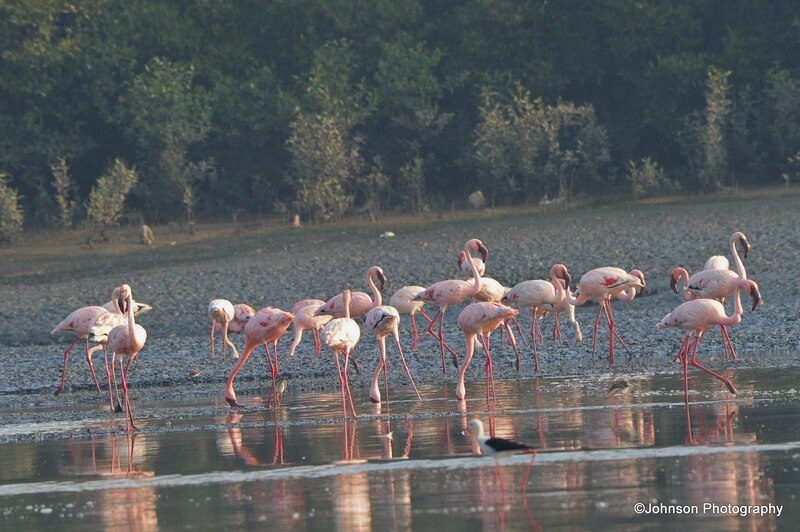 Some of the other birds that can be spotted here are the black-headed Ibis, Oriental Stork, Caspian Terns and Ospreys to name a few. 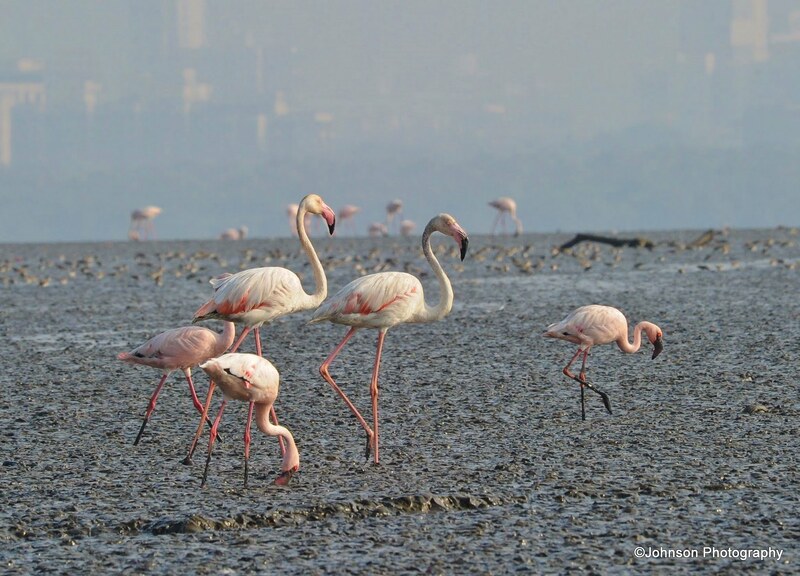 The easiest way to reach the sanctuary is through the Airoli Vashi Bridge. 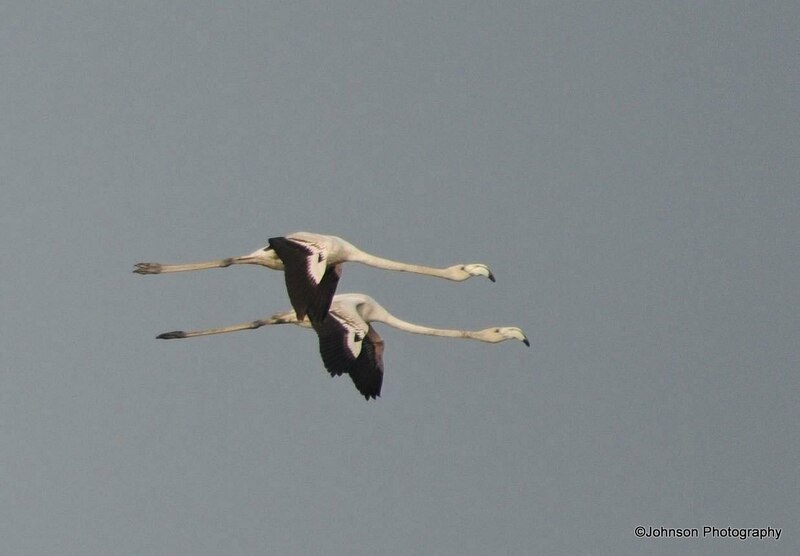 Wow, what a wondrous and noisy sight it must had been!